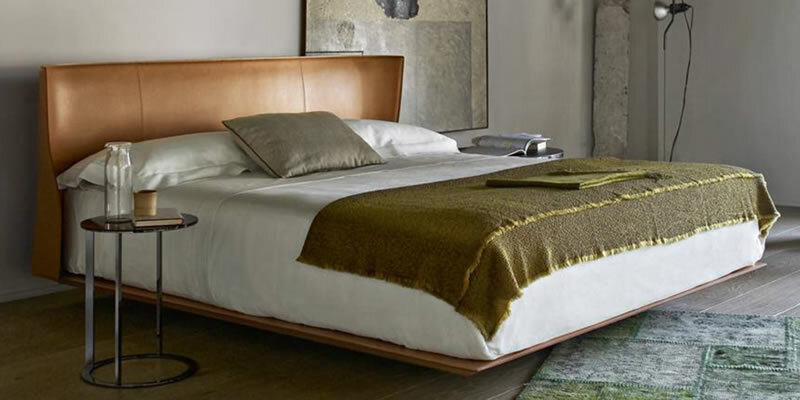 The parent of all textile beds; its bows are unmistakable. 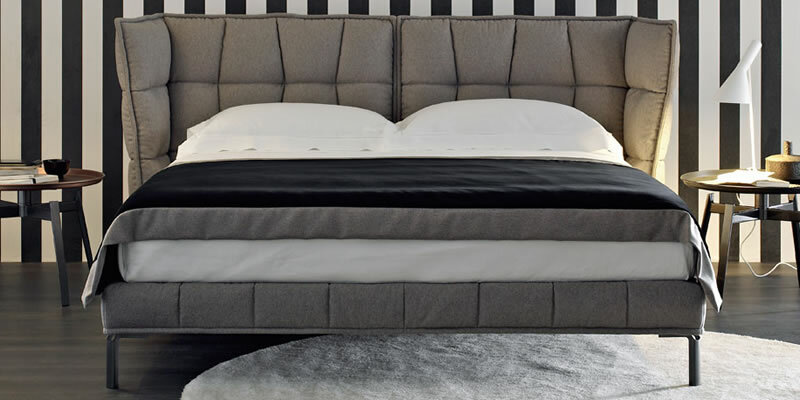 Headboard upholstered and padded, like the base, with fabric, leather, Ecopelle or Nabuk covers that can be completely removed thanks to the practical Velcro fasteners; it can also be reclined with a manual mechanism. 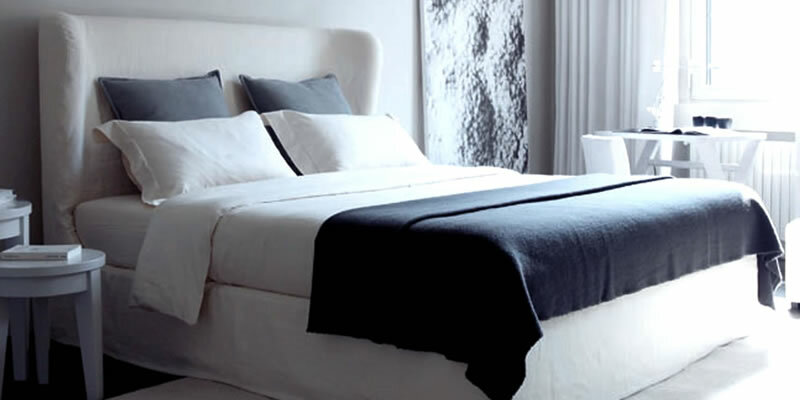 The cushion-covers of the headboard allow the pillows to be stored and protected from dust. Available with rigid base, storage base, fixed base h 25 cm. or h 16 cm. and with electrical movements. The base and the headboard of this double-size bed have been completely and softly upholstered; the bed has been produced under the banner of tradition, craftwork and clean lines. 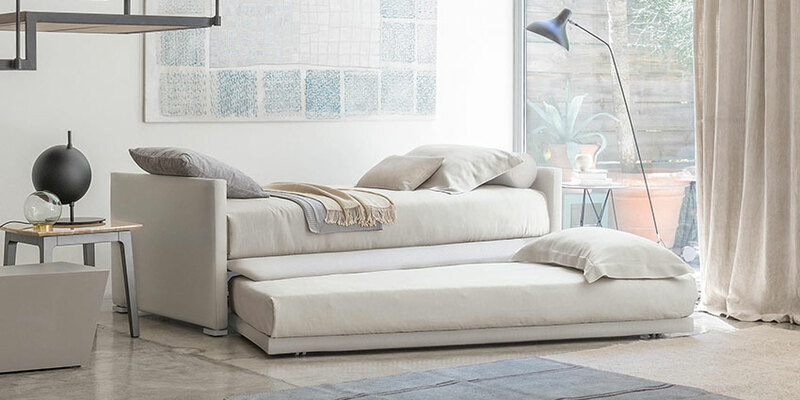 Available with fixed base h 25 cm., storage base and with electrical movements.The removable covers – coupled with filling that accentuates the softness - can be selected from Flou's collection of fabrics, leathers and Ecopelle. The existing Tufty Time collection has now been extended to the night time area, where ”Chesterfield”style and “capitonnè” look are expressed in a more marked manner. The upholstery in leather or fabric is subdivided into large squares that are joined by pleats, perforated in the leather version. Because it is closed at the bottom, the bed can accommodate a number of different wire meshes, including a hinged version (in widths of 160, 170 or 180 cm) which provides access to a useful utility compartment. Soft, enveloping minimalism. Stylish discretion in the detailing. Tactile and visual elegance in the materials. Poltrona Frau has designed a bed that revisits the large and generous geometries of the Massimosistema sofa. The overlapping design that denotes the backrest of the sofa, with the cushions higher than the structure, returns in the headboard of the bed. To which the comfortable pillows are attached with their soft, welcoming lines, padded with soft down and a stabilising insert of polyurethane foam and polyester wadding, with upholstery in Pelle Frau® leather from the Color System or Pelle Frau® Heritage. The surfaces are decorated with precious quilting, in another nod to the sofa. The headboard is made up of a solid beech and poplar structure with panels in MDF, whilst the base of the bed is multiply poplar. For both elements, padding in polyurethane foam and polyester wadding and upholstery in Pelle Frau® leather from the Color System or Pelle Frau® Heritage. Feet in black varnished metal. The bed is suitable for bed surfaces and mattresses of 200 cm or 210 cm in length. Functional bed with clean, elegant lines. Head-board upholstered and padded, like the base, with fabric, leather, Ecopelle or Nabuk covers that can be completely removed thanks to the practical Velcro fasteners. Available with sprung base, storage base, fixed base h 25 cm. or h 16 cm. and with electrical movements. A bed of Eastern inspiration, elegant and clean-cut. The mattress support consists of strong slats that continue upwards to form the headboard. Tadao is available in Canaletto walnut polished with a traditional or natural finish, in oak coffee and in the scratch-resistant surface finishes Style (color sand), Epoque (colors white and grey) and River (colors dark nut and light grey). 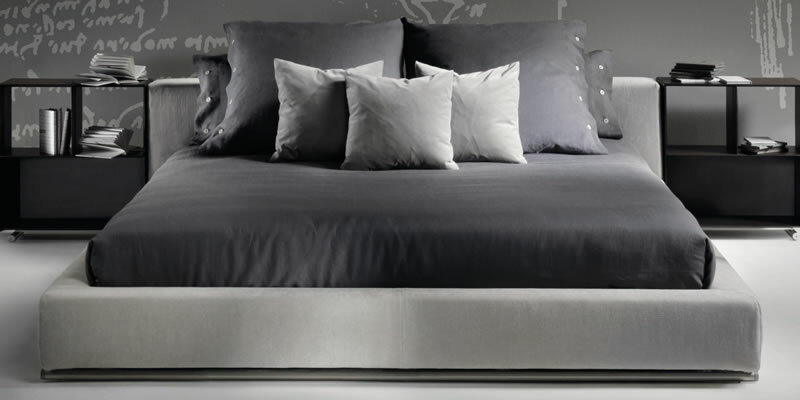 An important double-size bed with class, designed by Carlo Colombo. Four widths and two lengths are available. The bed is embellished with elegant metallic trims. On the sides of the headboard, the trim ‘anchors' the covers, exalting the softness of the ensemble. The three finishes of the trim (polished gold, matt burnished, polished black nickel) have been devised to match the range of cover materials available. 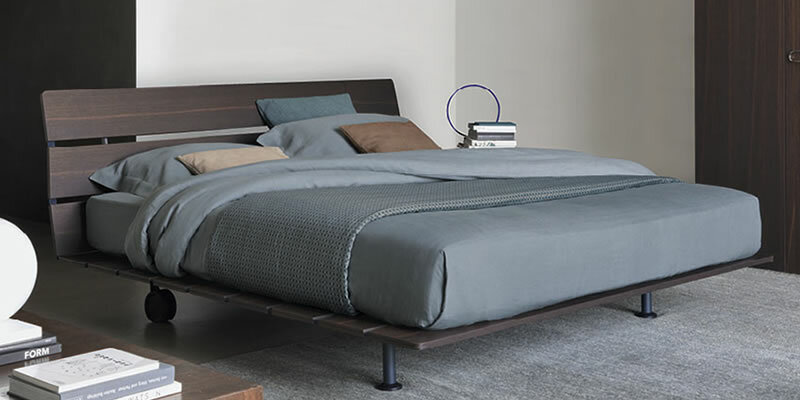 The padded base can accommodate three different mattress supports: with adjustable slats (easy to disassemble), with a space-saving storage or with the Motion4 supports with electric movements. 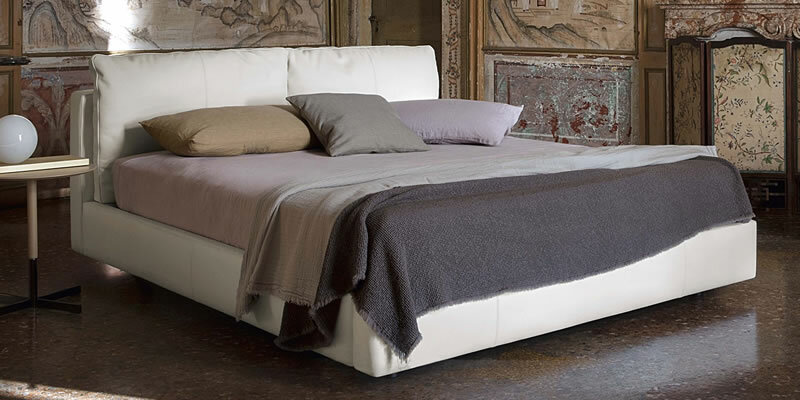 The covers of the base and the headboard are totally removable and available in fabric, leather and ecopelle. Volage, from the Cassina I Letti Collection with strong lines which give its iconic, light feel a stately, more classical tone. The capitonné headboard is available in various sizes; it is padded in CFC-free expanded foam, with variable density and upholstered in fabric or leather. High or low headboard can be integrated with a pair of sconces designed by Philippe Starck for Flos- KTribe. The lampshade available in Plissé cloth fabric or polycarbonate plastic in transparent, aluminized silver, bronze or smoky grey. Polished aluminum arm support with chrome-plated cover rose. - L27 Volage bed headboard integrated with lamps. The classic canopy bed in a modern interpretation, suitable to be positioned mid-room; base frame and headboard in leather or fabric. 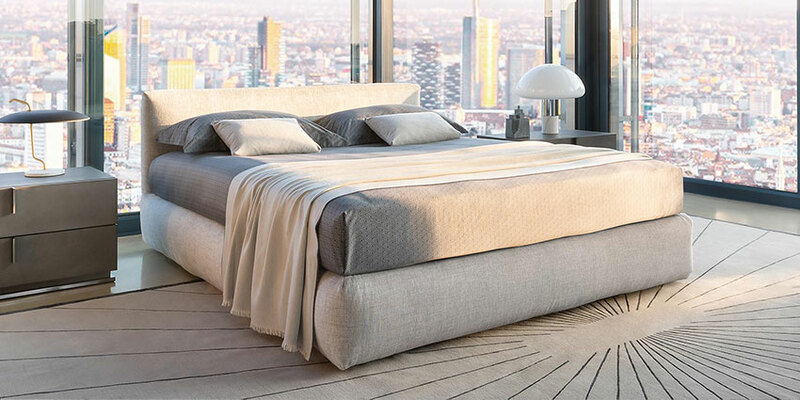 The bed rests on a platform, which is large enough to position a storage element with an open compartment and a drawer at the foot of the bed. One single large size and four different finishes: brushed light and black oak, grey and brown oak. While maintaining the structural characteristics of the bestselling Maxalto a canopy bed, another version is now available, Alcova. The new bed is smaller in size with the headboard and mattress box higher than the original version. The protruding base has also been eliminated. The easily removable covers are finished with exquisite needlework. 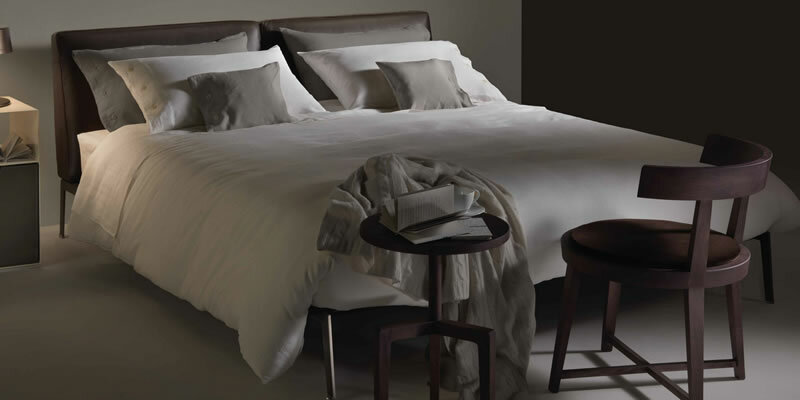 In natural grey, brown, black oak or wengé, Alcova is available in six sizes, for mattresses from 160 cm up to king size. 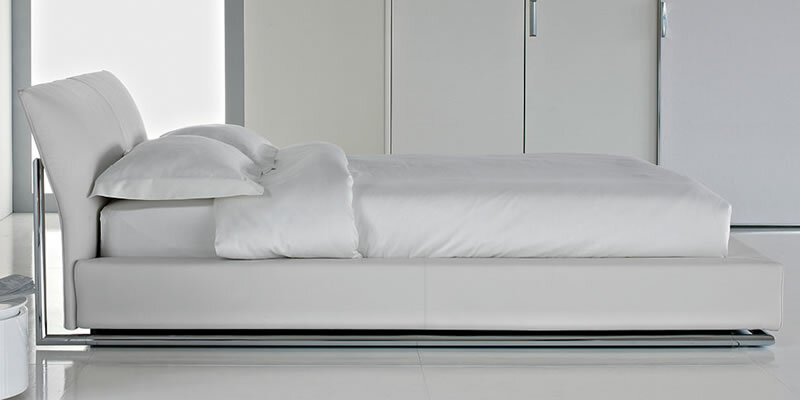 Transformable bed of simple elegant design. Structure with completely removable fabric, leather, Ecopelle or Nabuk covers thanks to the practical Velcro fasteners.Available with fixed bed-base. 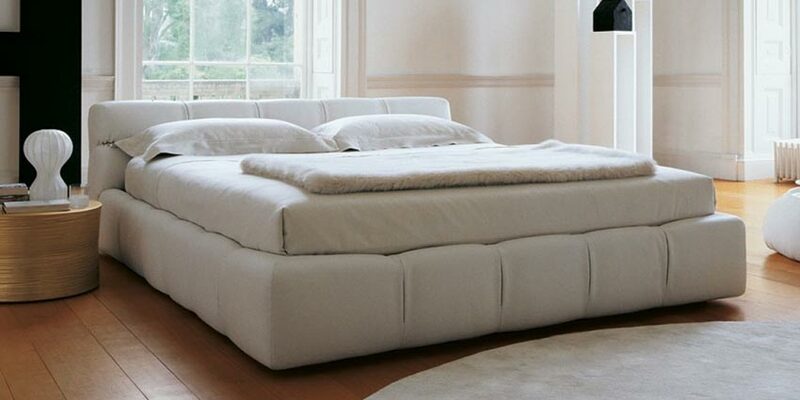 Single bed which can be joined by a trundle bed fitted with a gas piston mechanism that allows it to be raised easily to the height of the first bed. 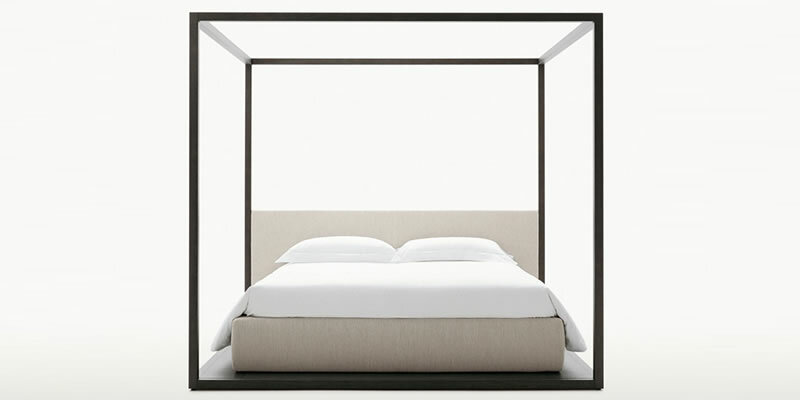 Thanks to two special rubber - coated steel blocks, the two beds can be joined together to form a double-size bed. Completed by an elegant seat cover, pillow-covers and roll cushions, it can be customized with the addition of a backrest.